‘What you can do with a line…’ I overheard one visitor comment to her friend. That’s quite an understatement. 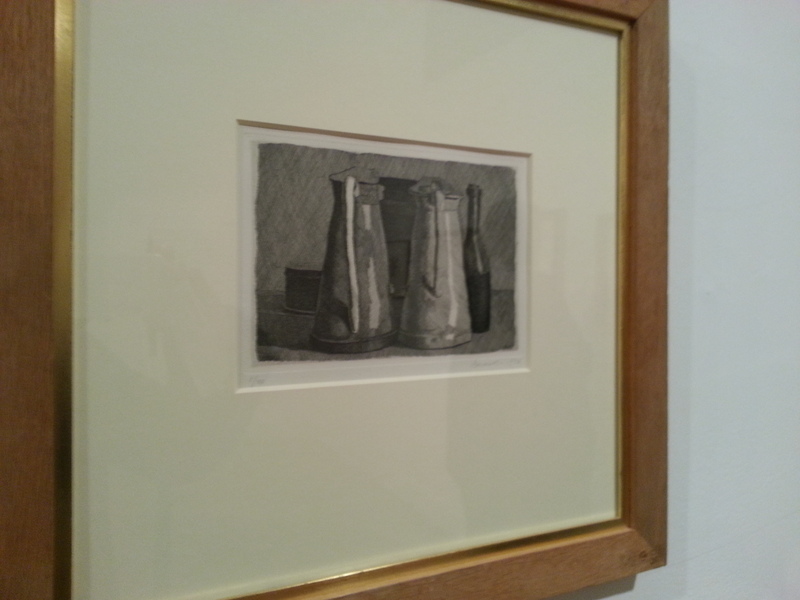 Morandi’s s exquisite attention to detail gives ordinary subjects a visual importance and value. Simple household items – bottles, jars and vases – seem to reverberate with life, even intrigue. Little wonder that he has been compared to Rembrandt and Piero della Francesca. Better known for paintings of everyday objects in muted tones, Morandi was also a self-taught printer. 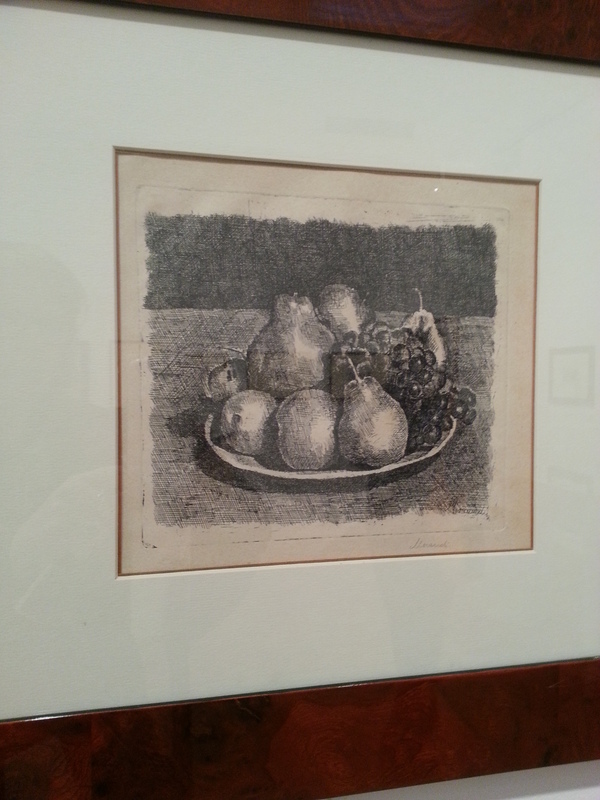 ‘Giorgio Morandi: Lines of Poetry’ is a collection of over 70 of his etchings. To gain a grounding in painting and drawing Morandi studied the masters, Giotto, Piero della Francesca, and Masaccio. He learnt the craft of etching by poring over a tiny ‘Petit Negresse’ (Rembrandt, 1663) with a magnifying glass. He devoted his life to etching, painting and repainting the same simple objects, mastering and perfecting tone and shadow. In 1930 he became Chair of Printmaking at Bologna’s Accademia di Belle Arte. 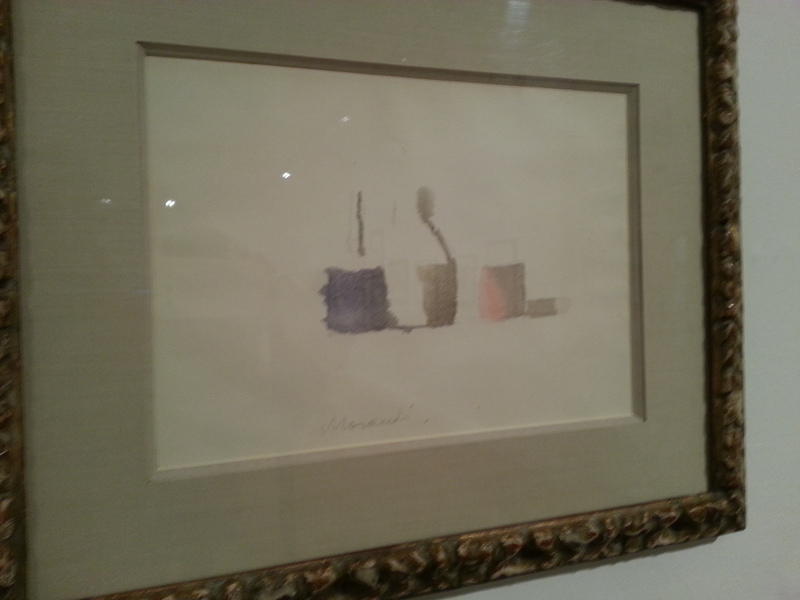 Using the apparently simple method of ‘cross-hatching’ Morandi creates shape, depth, light and shade to extraordinary effect, capturing his deeper vision of these most ordinary subjects. He draws the viewer in to see more within them, and the more you look, the more you see. ‘There is nothing more surreal and abstract than reality’. Morandi exhibited with the Futurists in 1914 but his ‘flirtation’ was brief and he returned to his simple shapes, which seemed to become even more pared down during the war. There’s an excellent video providing some fascinating insights into the man and how he worked (not to mention his mania for carrying around conkers). One art critic compares Morandi’s methods with those of Piero della Francesca – ‘Starting with the head, working down the neck to the body…’ – explaining that Morandi even ‘dressed’ his jars by painting them in assorted colours before attempting to capture them on canvas. 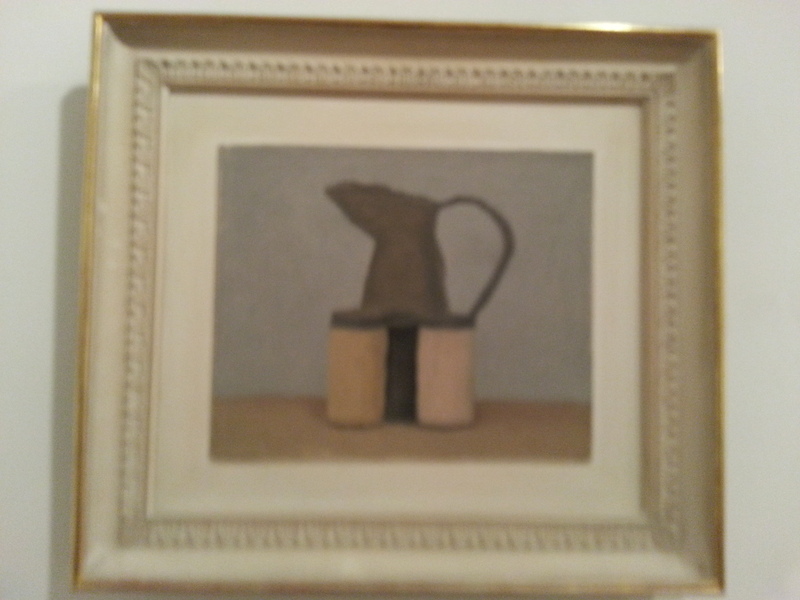 The Morandi exhibition was made possible thanks to the generosity of Bologna’s Accademia di Belle Arte and runs until April 2013 and the Estorick’s permanent collection is also well work a look. 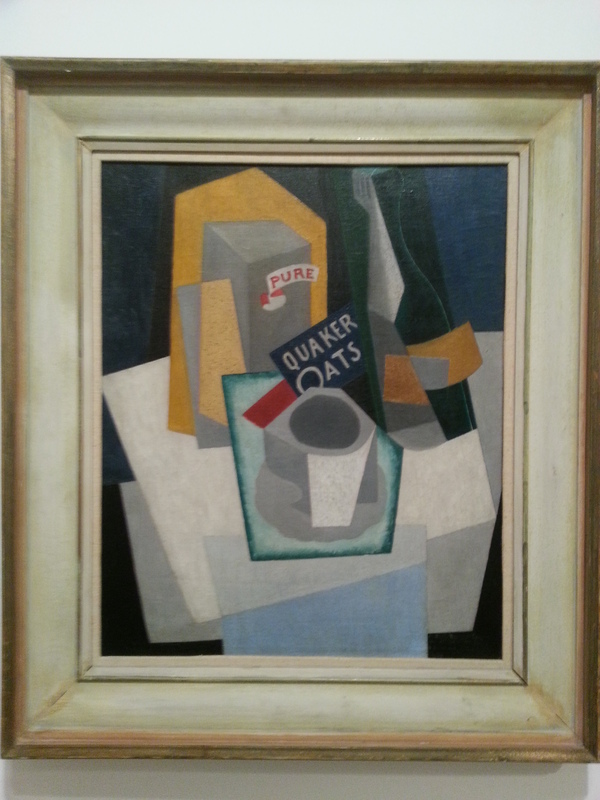 It holds a number of works by fellow Futurists like Boccioni, Carrà, Severini and Balla, as well as Morandi. Visitors to Bologna can immerse themselves by visting Casa Morandi, his modest apartment on the via Fondazza where he lived his entire life, and the Museo Morandi where 250 of his works are on display. For further details, see the Estorick Collection. © 2019 Jan Fuscoe - Award-winning Writer & Photographer. All Rights Reserved.